One of the more perplexing things I have ever heard is the idea that you can deal with terrible problems by basically filing them away in mental “drawers” in your mind. It’s as though the brain is envisioned as a massive bookshelf or bureau filled with drawers and you can just stuff things in different areas and let it be out of the way. Have you ever tried stuffing all the mess in your house into drawers. You know, there are people who buy pretty storage baskets and “hide” their clutter and unfinished projects in these baskets thinking that by putting them in at attractive package that somehow it will magically be dealt with… Until, of course, the day you run out of space in those baskets… Or you realize you stuffed away something important, or ignored something vital because it was too overwhelming with all the junk. And that’s why this pop-psychology idea of “compartmentalizing” problems just doesn’t work. If you’ve been sort of pushing things aside that you don’t want to confront, this one’s for you… and it can help you to free yourself fom self-destructive self-cluttering! I knew a man who championed his own “compartmentalizing” of huge problems, and looked to massively famous (and notoriously screwed-up) businessmen as examples of this system of fining away problems, issues and things that really demanded attention mentally and only seeing what one wants to see. He was a total mess. And the more he “stuffed things away” in his mind, the bigger the mess became. Until, of course, the days came when the closets and drawers he imagined in his brain sort of exploded open and then he’d unleash tremendous anger and would be even more unwilling to confront all the things he’d been ignoring. It was somewhat perplexing to see grown men with “high achieving” lives coming up with all kinds of complex and elaborately contorted ways to avoid really big problems… rather than facing them head on for what they are. Our brains are filled with complex connections. Our life is inter-dynamic. 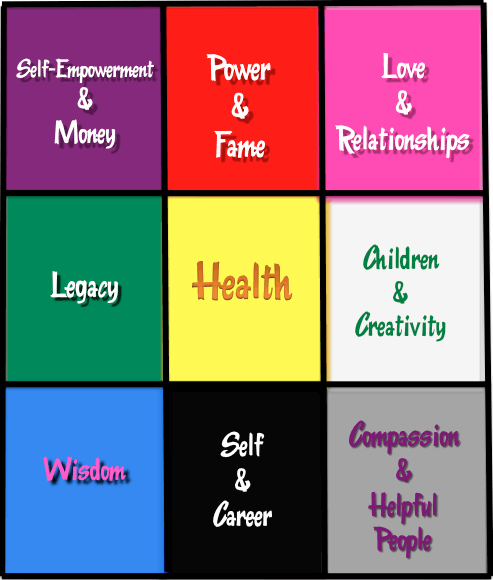 It’s easy to think that you can just pile on the “love cures” and talismen and crystals and all kids of stuff in the far right of a home and… Boom!… in comes a relationship. But that’s not how it works. I mean, if you have so much junk in your house that you can’t even walk through the front door, how will that love interest even get into your house? Everything is integrated. Traditional Chinese Medicine treats systems in the body, not isolated pieces of your body. If you go to acupuncture for a shoulder injury, I bet that you’ll be treated for various different systems of energy that relate to your injury and that needles may get placed as far and wide in your body as the bottom of your feet and the top of your head in addition to your shoulder. In life, everything seems to be similarly integrated. If you have a fight with someone, chances are that problem will filter into every aspect of your day if you don’t deal with it. File it away in a “compartment”, or sweep it under the rug and you’ll soon find that anger flying out at other people almost unconsciously because you didn’t deal with it. So, if you are thinking that you can just stuff away your problems- and your clutter- for a day when you can deal with them, I hope today is that day. By starting to actually address and clear up- rather than “compartmentalize”- your problems, issues and emotions you will actually feel free. That’s what happens when you dump out the pretty storage bins full of crap and start actually handling the mess of stuff that’s been stuffed away- you deal with things rather than actively avoiding them. You move from “stuck” to “flowing.” This opens the doors to possibility! An idea : If you’ve been feeling overwhelmed and have a lot on your plate, what would happen if you actually stopped what you were doing and dealt with one single problem you’ve been pushing aside untul it is done? Could you take a day off and go to the DMV or to the bank or to see an old friend or a therapist or tackle the junk in your closet? Even if something takes ore than one day to finish, actively making it a priority until its done will do something amazing for your life. You will get lighter! 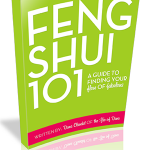 8 Feng Shui Tips That Everyone Can Use! Previous post: 10 Huge Ways That Taking Amazing Care Of Yourself Will Transform Your Life! 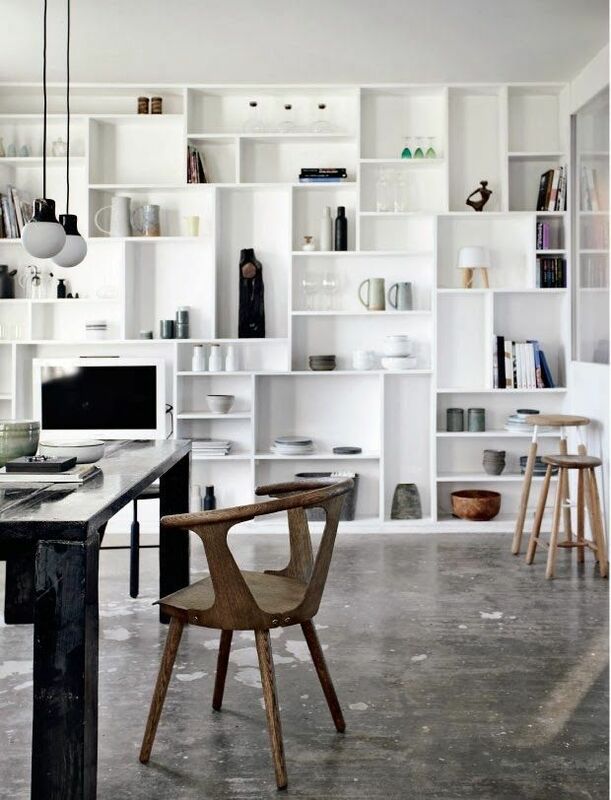 Next post: White Walls Can Be Brilliant!